Earn $0.85 in VIP credit. Click to Learn More. 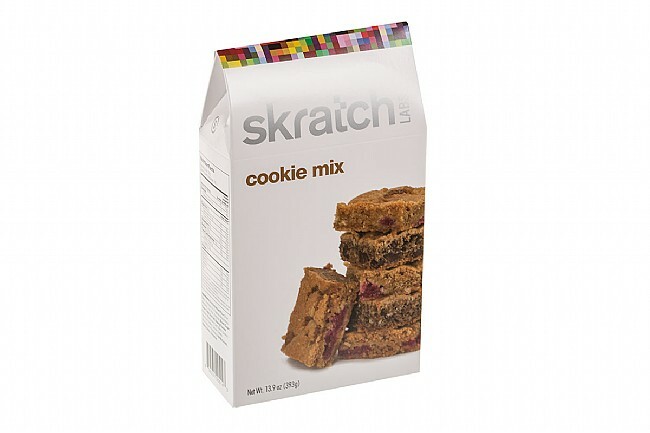 Skratch Labs' pre-made Cookie Mix makes it easy to bake up a batch of delicious on-the-ride fuel that tastes great and delivers the right amount of energy to keep the pedals turning. Just add a stick of butter, one egg, and an optional cup of chocolate chips or anything else, and in as little as ten minutes, hot, fresh, and delicious cookies are ready to be packaged up and put in a jersey pocket. One 13.9 oz bag makes approximately 18 cookies. Quick and easy way to make a snack or portable ride food. Good to use as a foundation for whatever you want to mix into it. 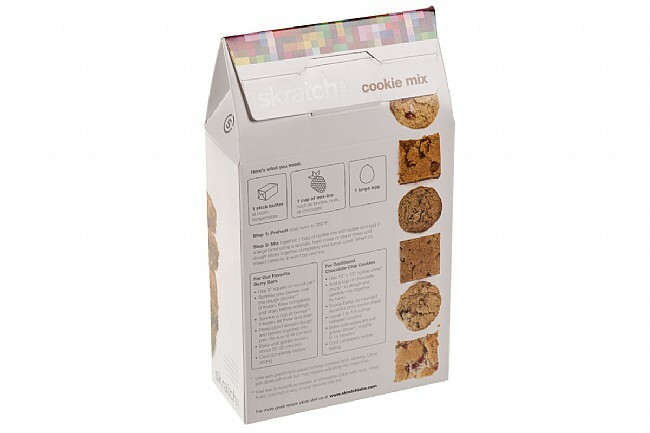 I don't use this mix to make cookies. I bake it in an 8 x 8 pan to make small square bite-size bars. Fresh raspberries are my favorite item to add to the mix. Bittersweet chocolate chips are good too.